Milk Cartons with full color CMYK/PMS printing process 14pt, 18pt and 24pt card stock available with Foiling, Embossing, Spot UV and other custom print options. We do fully customized your Milk Cartons at very low price with no minimum order quantity. Fill in the quote form to get price quote right away. FREE Shipping & Design Services. Size / Styles Milk Cartons Different shapes, styles and various sizes are available, according to clients' specific requirements. 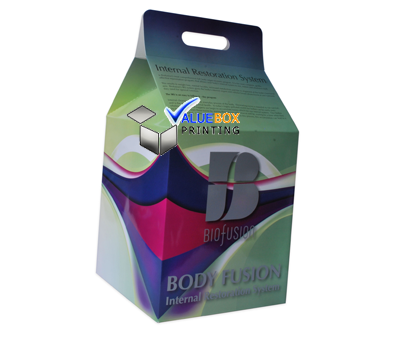 Specification Milk Cartons Customize with client's logos and designs. Colors Milk Cartons with CMYK full color and pantone color. Production Time 7 - 10 business working days. Rush delivery available. 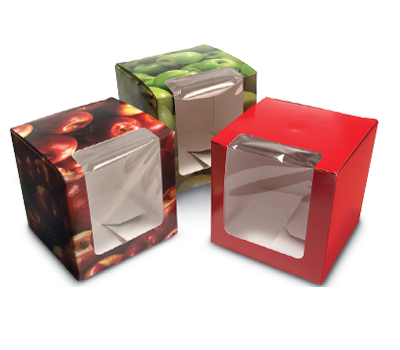 Packaging products are, first of all, communication with the consumer. In the design of milk cartons, it is important to build on an integral idea, and not just make a beautiful picture. Before taking on the design, you need to clearly determine the positioning of the product on the market. If this is a new brand to develop positioning, which already existing to adhere to its concept. It is important to maximize the use of packaging space. On the cardboard milk boxes, there are 4 sides + sole and top for this purpose, on the plastic box - 2. A glass bottle is, most likely, 2 communication panels: a label and a counter-label. However, it leaves room for imagination. The main color for the design of milk carton packaging is white. It is he who associates, both with the product itself and with purity, naturalness. The packaging must not be completely white. A successful addition will be green or blue color. They will advantageously shade the main color, the ideal ratio of white and contrasting colors is 70/30. When developing a package of milk you need light, cheerful shades. Dark blue or olive will not work. There is a third, additional color - red. It is used to attract the attention of the consumer. 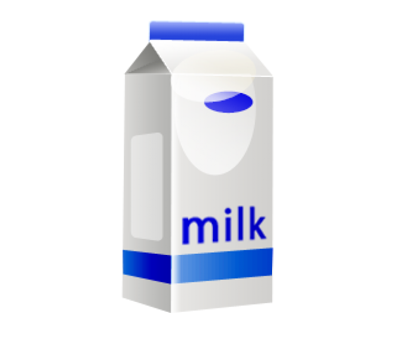 Milk items are another element in the design of milk packaging and dairy products. This includes flowering green meadows, milk rivers, any variations on the theme of the cow, bells and stylization of containers for retro packaging. Also relevant are the characters, invented specifically for the dairy brand. The main thing here is to observe the measure. It is important that the overall concept of positioning the new product is in harmony with the packaging. The right combination of colors in the packaging for milk will help to focus on freshness. An incorrect shade of brown or green that resembles mould can destroy the positive effect of a beautiful package. Important images of grass and greens. They are needed to forget about the industrial origin of milk. What should be the packaging for milk? In modern conditions, the development of packaging and consumer packaging of dairy products is becoming particularly relevant and directly affects the process of preserving the quality and consumer properties of the product. The main factors determining the production of high-quality dairy products are composition and technology of obtaining the product itself; the conditions for its packaging; used packing material. What kind of milk packaging is "right"? Does the packaging of milk affect the quality of the product? And what kind of milk is better - in a glass bottle or plastic? We understand the details and subtleties. Ideal packaging for milk is made of inert material, which does not react with the contents contained in it. However, the glass milk carton is quite heavy and the product in it costs more. In addition, the glass containers are not disposed of now and are not taken to special reception points, and throwing the glass into the garbage disposal line seems not a very suitable option. Packing of multi-layer cardboard with a layer of aluminium foil inside in its parameters is as close as possible to glass, so today it is considered the best. Such a package does not let light pass, milk is easy to store in the refrigerator after opening the package. Milk carton is completely hermetic, so the milk in it can be stored even without a refrigerator, provided that you did not open the package. More popular is the creation of a packaging design for milk cartons with a history. 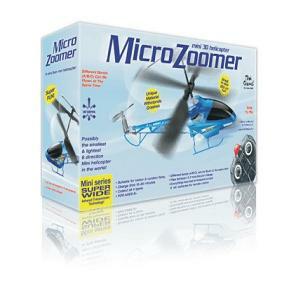 This approach is especially relevant for children products. These can be small tales of characters from the packaging, often they are associated with competitions or collecting souvenir magnets/cards, etc. When developing a package of dairy products, it is important to consider that it should appear "cold" when it is picked up. This gives the consumer a feeling that the product is fresh and increases the confidence in the product. Such an association will help create images of water droplets on the package. Milk boxes are mainly used for packaging a huge quantity of milk connected with merchandise like cane sticks to chin breakers to milk that is simple. 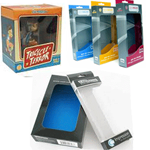 Various brands utilize sacred customized packaging to earn their merchandise more likable to shoppers. Production of an attractive milk cartons needs skilled experience. The dedication to deliver quality services in a timely manner has brought us many recommendations out of our valuable clients. Please fill the quote form and get the custom milk cartons with FREE delivery. 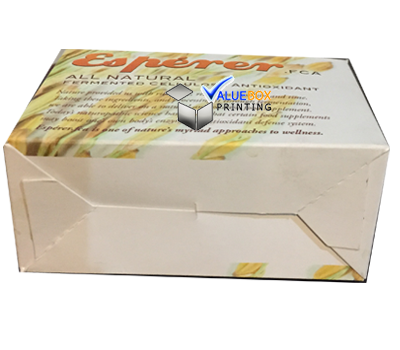 Die-cut design of Milk Cartons for our clientsNo matter the printing and size you need, simply let us know your request or email us at Sales@ValueBoxPrinting.com, our designer would provide you respond shortly. A PDF/Adobe Illustrator layout work is going to be delivered to you straight away.